Socratic Brain is a non-profit on a mission to help teachers personalize each student’s education. Socratic Brain was founded by a teacher, for teachers. We develop technology to support the personalized and engaging experience every science and math teacher aims to provide for their students. 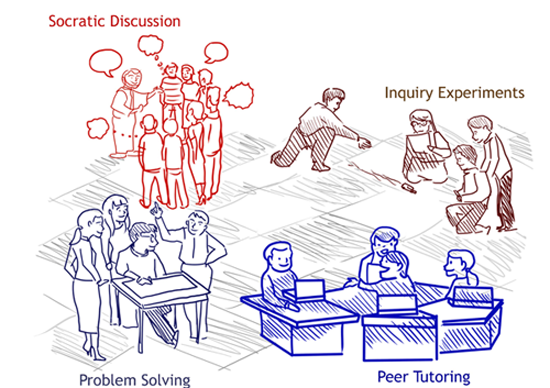 accommodates a teacher's existing pedagogy and an easy pathway to standards based learning. tracks progress data in real-time for collaborative grouping. allows student choice of assessments and their timing for personalized learning. integrates online and teacher assessments seamlessly. includes resources from a network of teacher-developed and open resources. rewards teachers sharing their resources in the network.